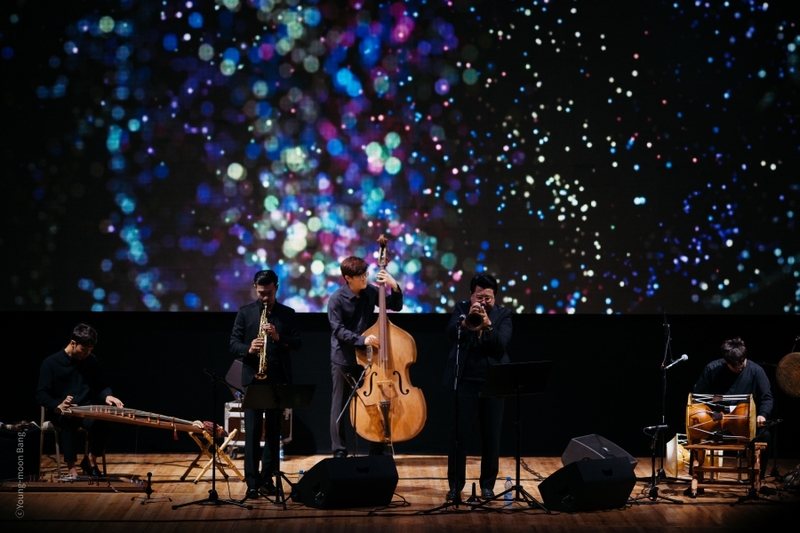 Distinguish Korean jazz from dreamlike melodies and songs that embody the raw joy of music. 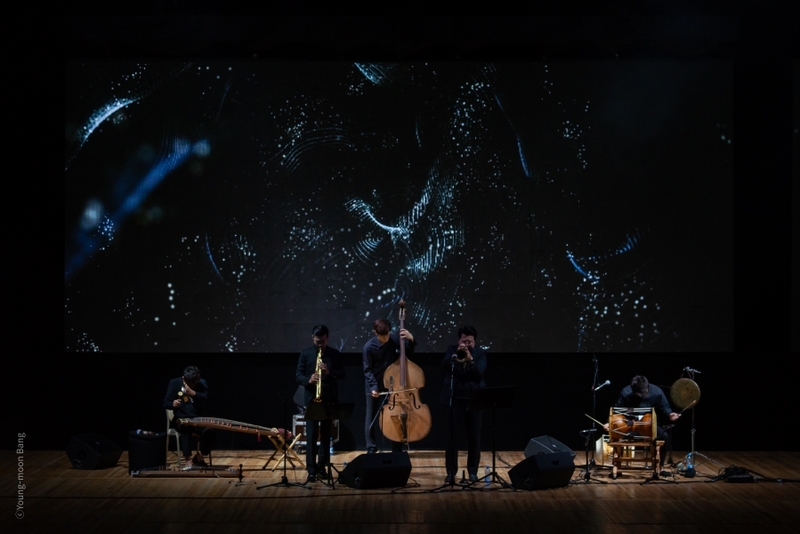 〈Korean Breath ‘Aura’〉 expresses the unique Korean characteristic of breath as a fundamental and cyclical concept in traditional Eastern music, whereas Western music follows the steady tempo of the heartbeat. SE:UM’s music thus flows continuously, following the nature of the instrument and instinct of the performer. ‘Abyss’ expresses the sentiment of sorrow from humans’ inner side. 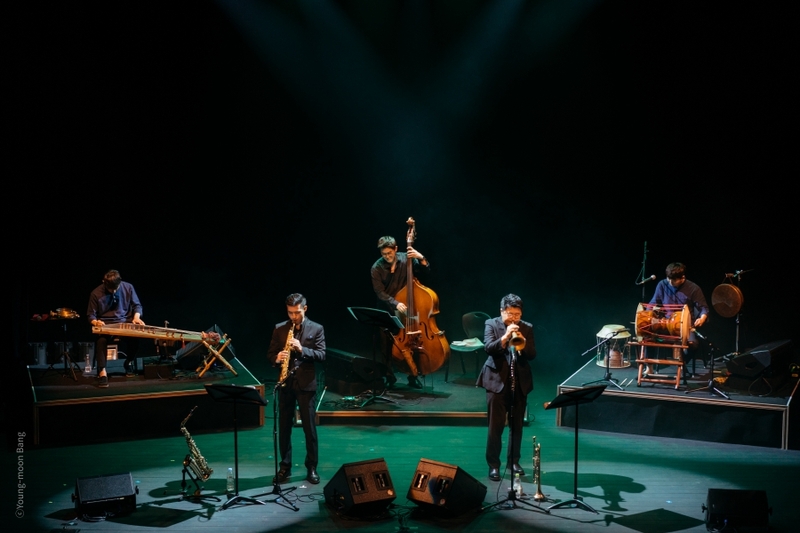 On top of the teobelolim rhythm led by the gayageum, the weighty solo by the flugelhorn is impressive. Composed as part of a series along with ‘Pray’ and ‘The Other Side,’ ‘Abyss’ stands out with its dramatic structure. The critically acclaimed and award-wining piece ‘The Other Side,’ is kaleidoscopic with its complex rhythmical structure, yet very traditionally organized. The virtuoso finale has been thrilling the audience worldwide. In ‘Binari,’ SE:UM interprets a traditional Korean prayer wishing for good luck, longevity and wellness with contemporary approaches. 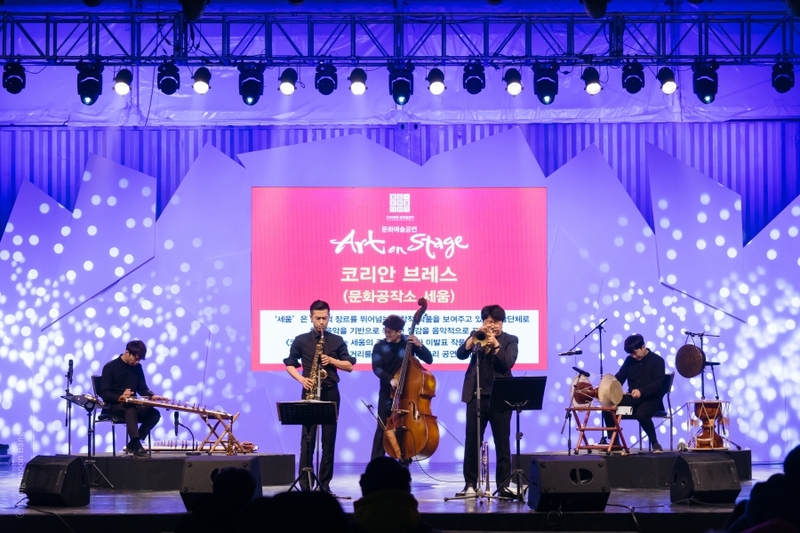 The ensemble of the saxophone, percussion, contrabass and gayageum over the jajinmori rhythm contains the philosophy behind traditional Korean music. ‘West’ describes sunset, a moment between life and death. The twofold nature of sunset is depicted by the melodic motif of a folk song from Korea’s western area and the asymmetric rhythm of 5 and 7 beats. Yang-Yang, meaning ‘elated’ in Korean, incorporates puneori (shamanic rhythm from Korea’s East Sea area) and funky rhythm. Along with the melodic improvisation of the saxophone and the trumpet, the tension and relaxation of the traditional rhythm generate synergy effects. Music Group SE:UM was founded in 2011 with an aim to pursue a new musical genre combining artistry and popularity based on traditional Korean music. 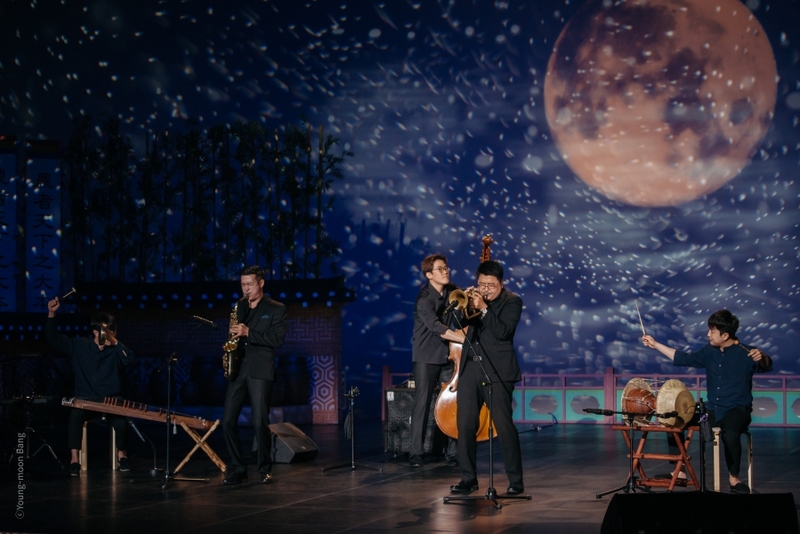 With the most organic fusion of jazz and the traditional Korean music, SE:UM has successfully achieved their distinctive texture of sound, and the resulting unique auditory experience has been acclaimed worldwide.